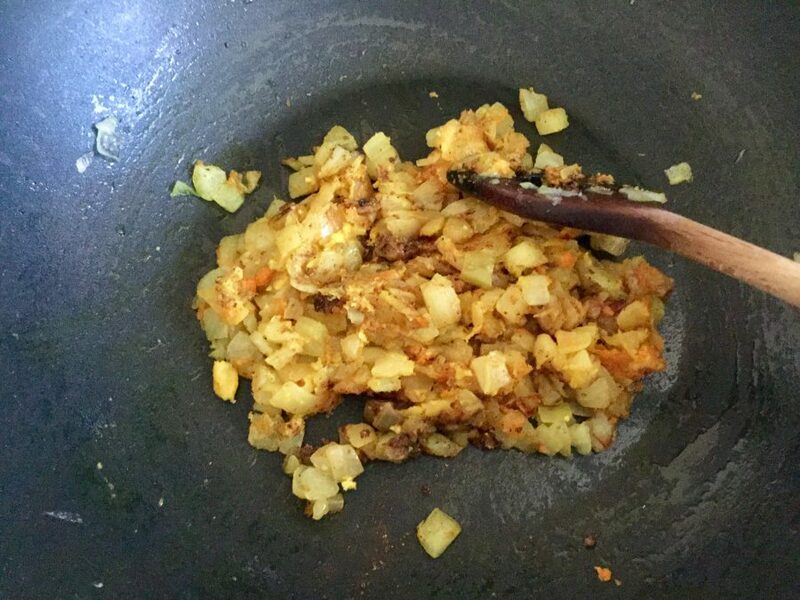 This is a creamy, comforting take on the curry-house staple from a Meera Sodha recipe which I’ve adapted – as I’m wont to do – to my own taste and dietary requirements. Like Meera I had always thought of korma as the curry for people who didn’t like heat or spice but this is a quite different take: less sweet, with warm subtle backnotes. I made this for supper for some French friends because, even though they might claim to like spicy food, the French don’t do hot and spicy. My friends, like me, don’t eat dairy so this was the ideal recipe for a quick Friday evening supper. 1. Heat the oven to 180C/160C fan/350F/gas 4. Put the cashews in a heatproof bowl, add freshly boiled water to cover and leave to soak for 10 minutes. Drain, add 250ml (1 cup) filtered water and blend until smooth. 2. 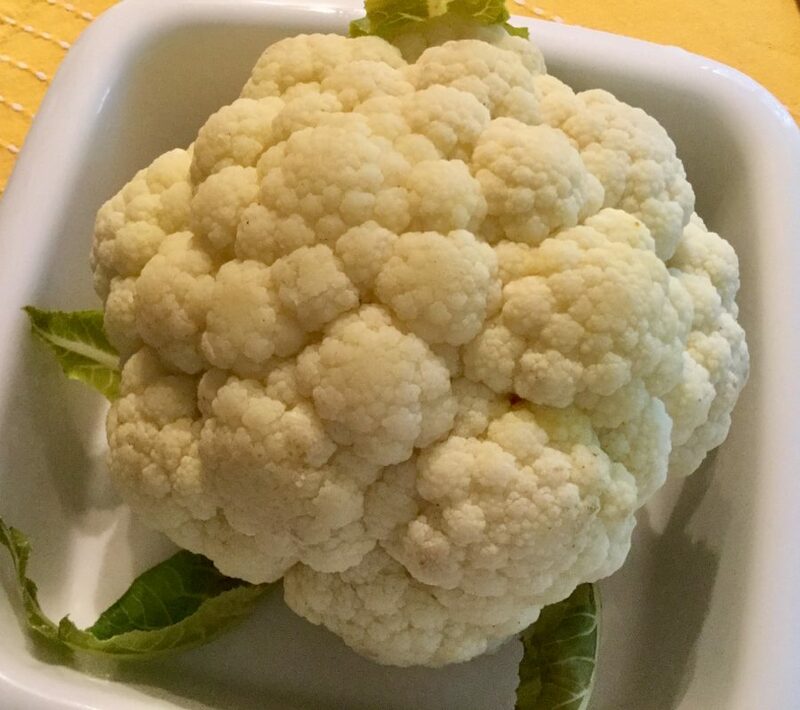 Steam the cauliflower whole until you can easily pierce the stem with a sharp knife though it should still be firm, not mushy. 3. Meanwhile, heat 1 tbsp coconut oil in a large frying pan over a medium flame, then fry the onions for 12-15 minutes, until soft and golden. Add the garlic, turmeric and ginger, fry for three to four minutes, then stir in the cardamom seeds, 1 tsp freshly ground pepper, garam masala and rose water. 4. Next add the brown rice syrup, a tsp sea salt and the cashew cream, then cook for about 10 minutes, until the sauce turns a rich golden colour. It should be the same thickness as a cheese sauce, if it’s not, add a little more filtered water. Season to taste and turn off the heat. 5. 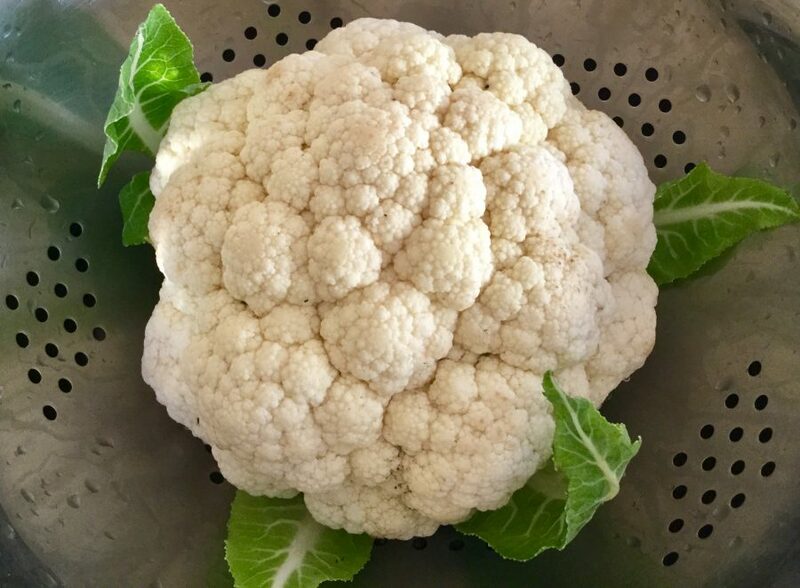 Put the steamed cauliflower into an oven proof dish and pour over the sauce which should easily cover the head of cauliflower. Pop into the oven until it’s golden and bubbling, 30-40 minutes should suffice. To serve, portion into quarters. 6. Toast the almonds for 5 minutes in the oven, finely chop the coriander and scatter over each serving. 7. Serve with a spicy chutney on the side and naan or, if you’re feeling really hungry, basmati rice. 1. 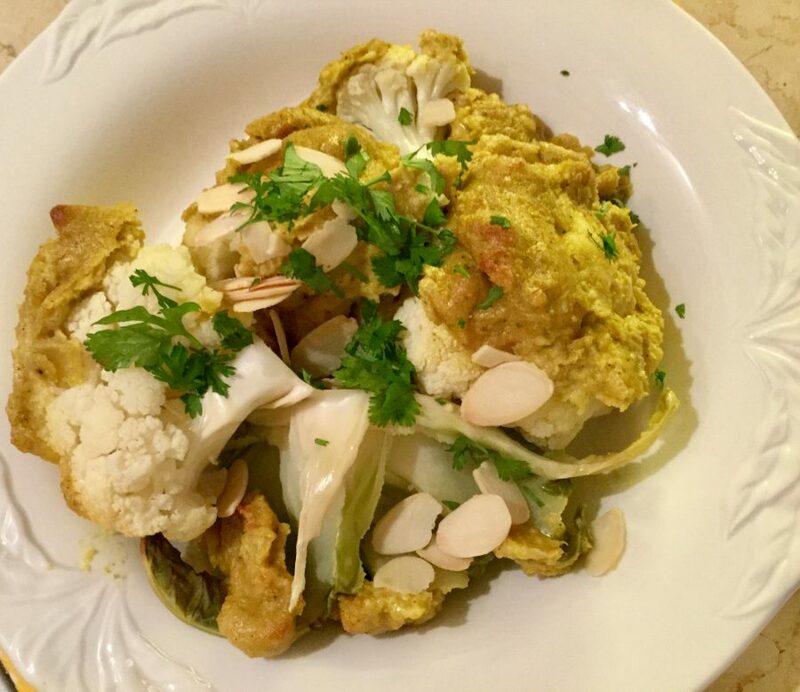 I made this firstly faithfully following the recipe but didn’t really enjoy the taste of the oven roasted cauliflower and I wanted it to be more like a mildly spiced cauliflower cheese and also use less fat in the cooking process. 2. I added the rose water and rice syrup because I had them in my pantry but I suspect that while they lend sweet backnotes to the sauce, they’re really optional extras. 3. 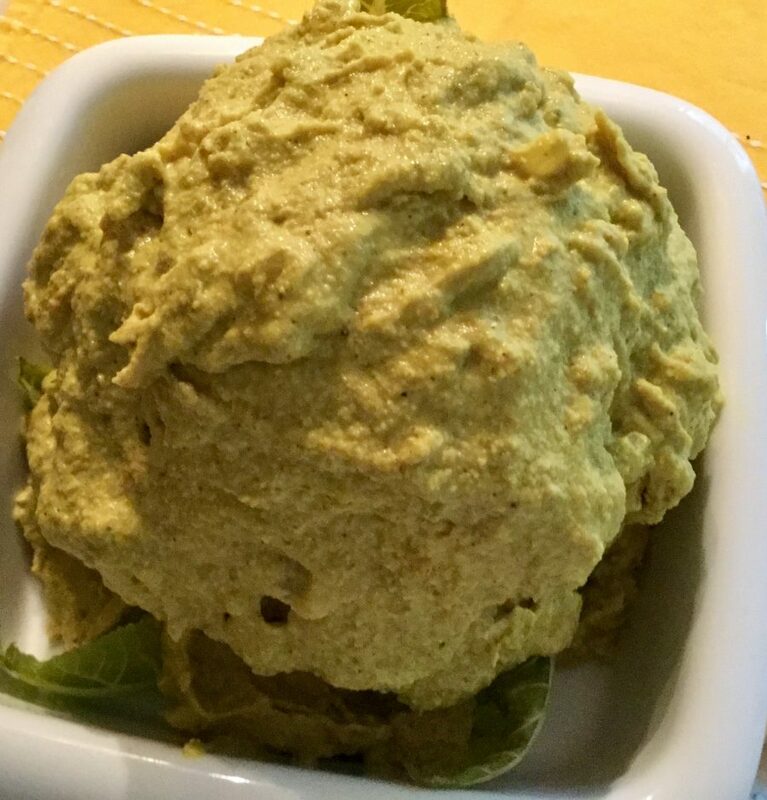 I thinned the cashew cream with a bit more filtered water rather than non-dairy milk – fewer calories and no loss of flavour. 4. I skipped the toasted raisins in my version because I didn’t like them. 5. 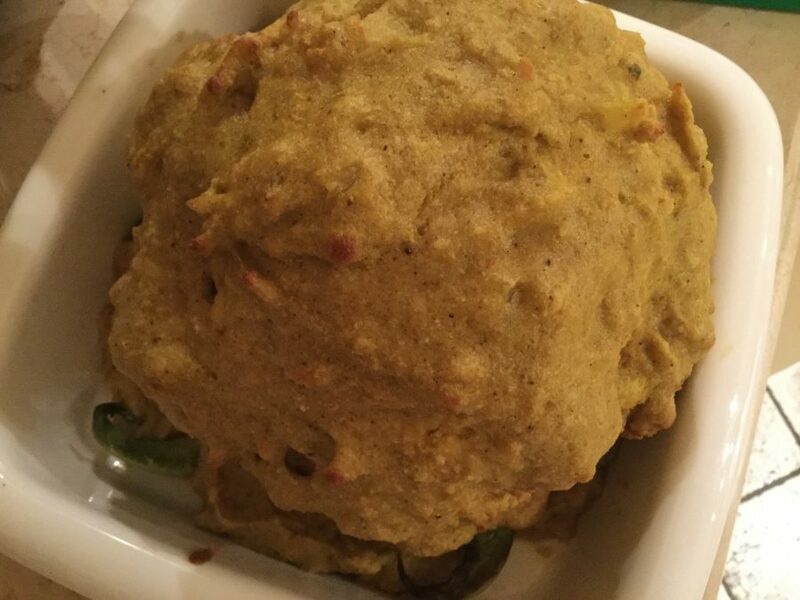 The dish isn’t a looker but it’s really tasty. Try it and see for yourself or indeed revert to the original recipe, link above.